Establish an energy performance target no later than the schematic design phase. The target must be established as kBtu per square foot-year (kW per square meter-year) of source energy use. Project teams pursuing the Integrative Process credit must complete the basic energy analysis for that credit before conducting the energy simulation. Follow the criteria in EA Prerequisite Minimum Energy Performance to demonstrate a percentage improvement in the proposed building performance rating compared with the baseline. Points are awarded according to Table 1. Display lighting. For display lighting, use the space-by-space method of determining allowed lighting power under ANSI/ASHRAE/IESNA Standard 90.1–2010, with errata (or a USGBC-approved equivalent standard for projects outside the U.S.), to determine the appropriate baseline for both the general building space and the display lighting. To be eligible for Option 2, projects must use Option 2 in EA Prerequisite Minimum Energy Performance. Implement and document compliance with the applicable recommendations and standards in Chapter 4, Design Strategies and Recommendations by Climate Zone, for the appropriate ASHRAE 50% Advanced Energy Design Guide and climate zone. For projects outside the U.S., consult ASHRAE/ASHRAE/IESNA Standard 90.1–2010, Appendixes B and D, to determine the appropriate climate zone. Meet the requirements of Option 2 and comply with the prescriptive measures in Appendix 3, Tables 1–4, for 90% of total energy consumption for all process equipment. Appliances and equipment. For appliances and equipment not covered in Appendix 3, Tables 1–4 indicate hourly energy use for proposed and budget equipment, along with estimated daily use hours. Use the total estimated appliance/equipment energy use in the energy simulation model as a plug load. Reduced use time (schedule change) is not a category of energy improvement in this credit. ENERGY STAR ratings and evaluations are a valid basis for performing this calculation. Display lighting. For display lighting, use the space by space method of determining allowed lighting power under ANSI/ASHRAE/IESNA Standard 90.1–2010, with errata (or a USGBC-approved equivalent standard for projects outside the U.S.), to determine the appropriate baseline for both the general building space and the display lighting. All projects pursuing Option 2 must also comply with the prescriptive measures in Appendix 3, Tables 1–4, for 90% of total energy consumption for all process equipment. The energy cost offset from onsite renewable energy cannot be used to demonstrate compliance with the prerequisite. 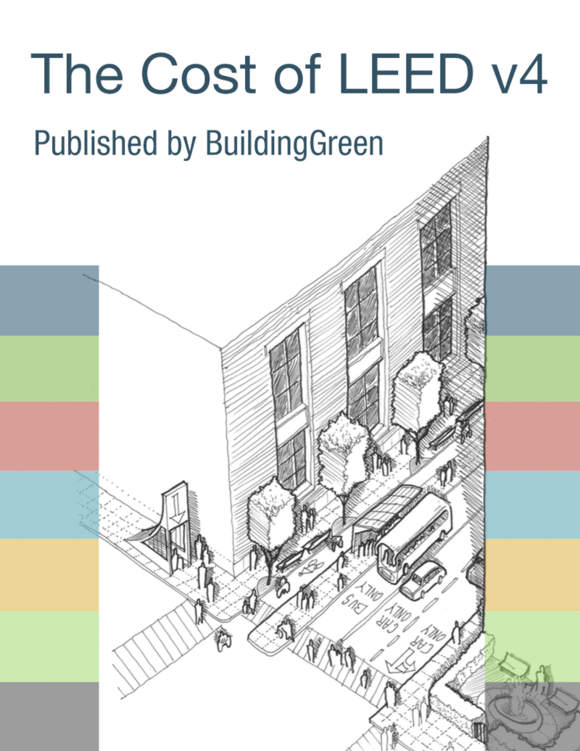 Can this cost offset still be credited to the proposed energy cost savings for this credit?